Sympathetically backed & brought on slowly over last 12 months - ideal lead-rein pony and can be ridden unled by experienced rider. Good to handle in every way - extremely well handled including extensive ground work. Would also excel at Horse Agility. Recently begun her bitless & blinkerless driving career in the Saddlechariot. 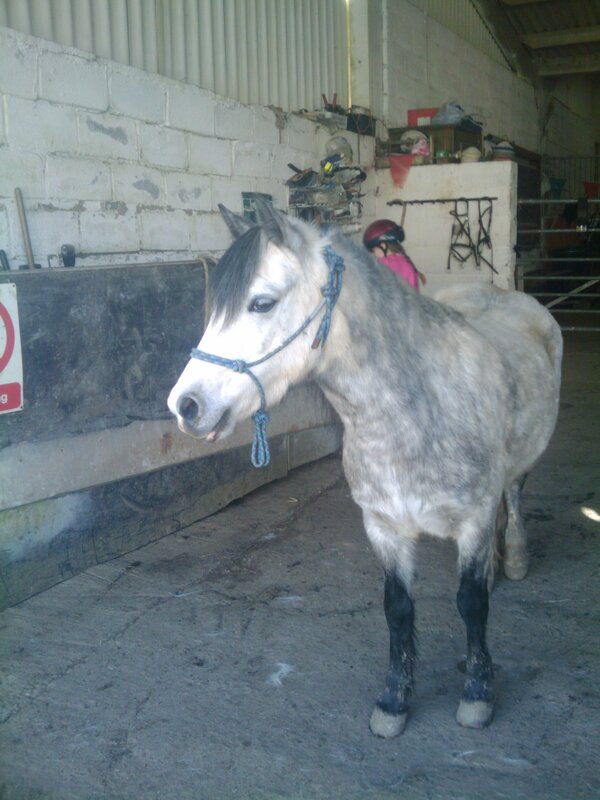 She has been ridden regularly (led & unled) by children in our Saturday club. Truly bitless & barefoot, lives out 24/7 - definitely does not need a rug. Offering excellent facilities to view & try out this pony in our indoor school or on accompanied hack. Free introductory lesson included. Available only to a truly natural home where she will have the opportunity to live out 24/7 with the company of at least one other equine and will remain barefoot & bitless.